The FT are running a series on how austerity is affecting local councils. 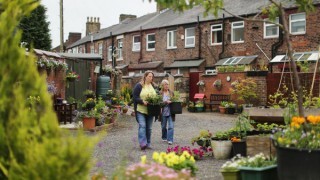 I rather enjoyed this article about Oldham, detailing a scheme in which the council helped residents transform a bit of open space, showing that even when times are hard it needn’t all be bad. “You can’t leave everything to the council as far as keeping places tidy. You’ve got to take responsibility for your own little patch, really,” adds another member of the secret garden team, Dave Owens. Such sentiments are music to the ears of Jim McMahon, Oldham’s Labour council leader. I think Jim McMahon is one of the country’s better council leaders, in part because he appears to recognise the importance of leading and area and a community rather than just a council.